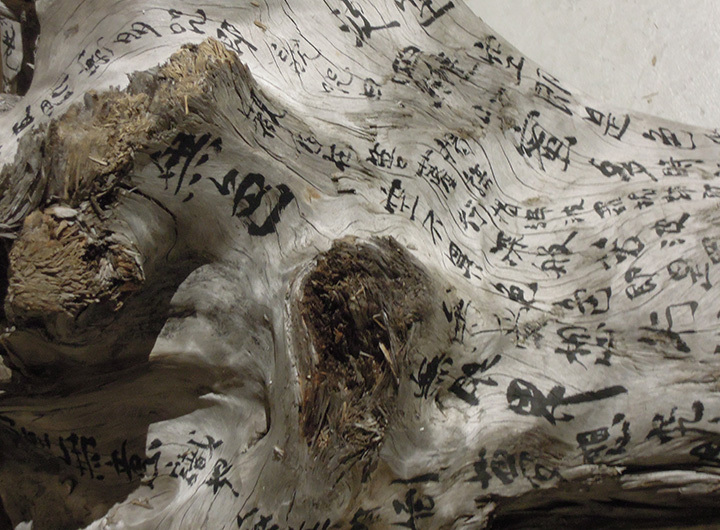 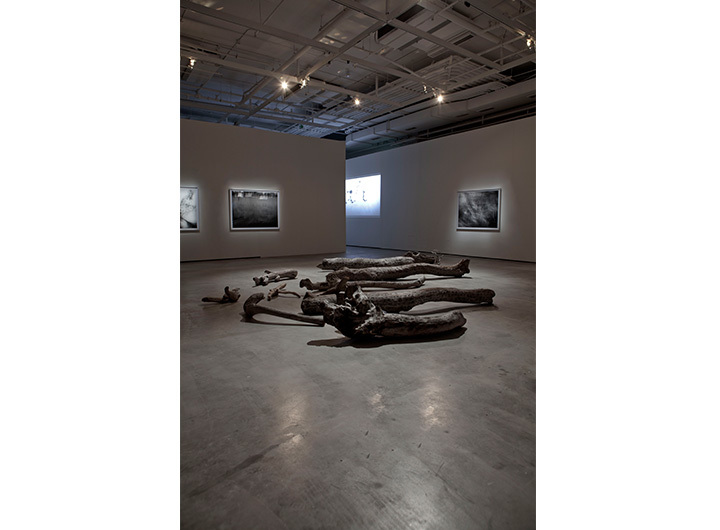 The Heart Sutra, a Buddhist text on the ephemeral is written in Chinese calligraphy on driftwood that were collected after a Typhoon (tropical storm in the region) in Taiwan. 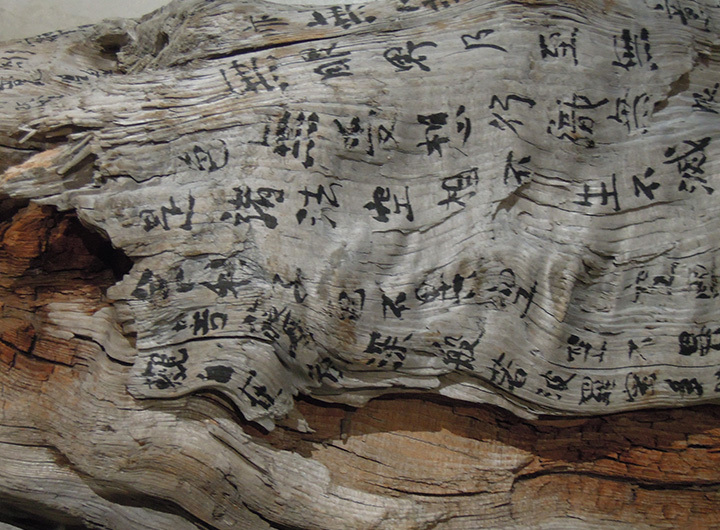 The final passage in this text describes moving forward towards the other side of shore where wisdom resides. 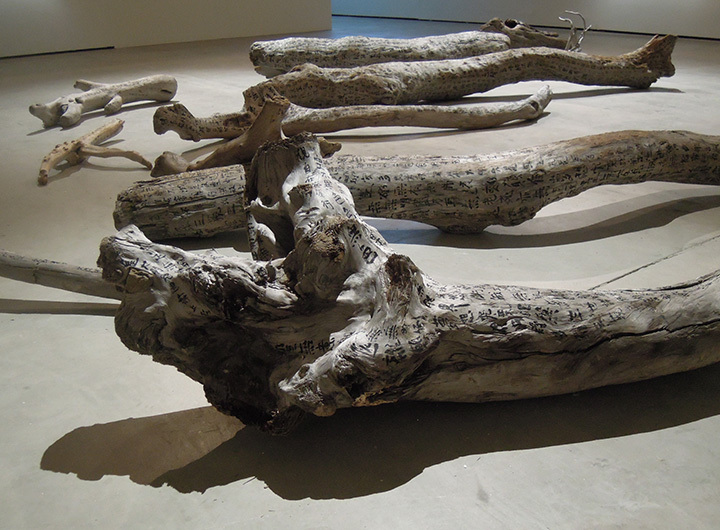 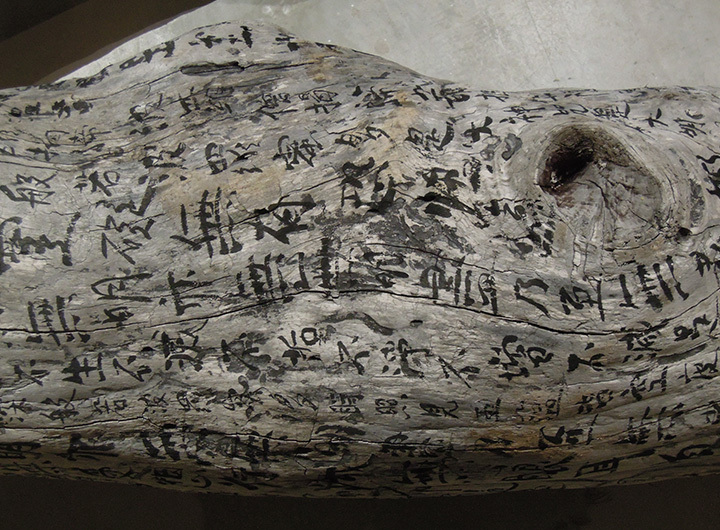 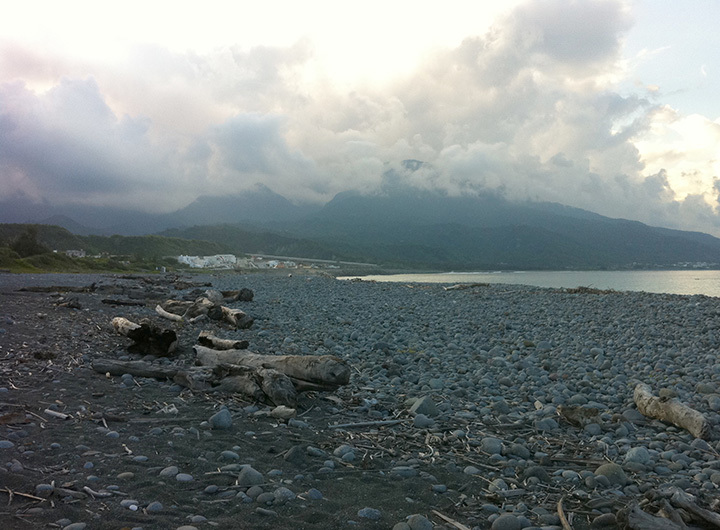 The inscribed driftwood is a metaphor to help bring one towards the shore of wisdom.